Discussions Magazine Music Blog: SPAZ reviews THE RUBINOOS' album 45! 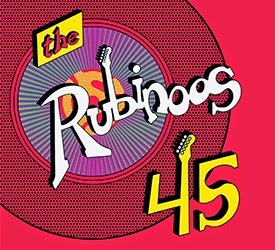 SPAZ reviews THE RUBINOOS' album 45! Nobody makes music like The Rubinoos anymore… except for The Rubinoos, that is! When the band was formed 45 years ago by Jon Rubin and Tommy Dunbar, it is pretty doubtful that either of them would have thought they’d still be making music together over four decades later (as a quote from ‘Commander McBragg’ in the sleeve notes alludes to). But here we are, celebrating their anniversary with a brand new studio album called 45. And anyone even remotely interested in the band needs to own this piece of audio candy, which just so happens to be their most spirited and instantly loveable collection of songs since the release of their boss 1979 sophomore album, Back To The Drawing Board. For a band that has released some fantastic albums over the years, that is saying quite a lot. The albums that came ‘tween … Drawing Board and this new platter are other prime examples of what most folks refer to as Power Pop. The 1980 demo collection Basement Tapes is a stunner, as is their 2006 platter Twist Pop Sin. The Rubes’ last two full-lengths, the kids album Biff-Boff-Boing and the rockin’ Automatic Toaster are fine releases as well, but 45 really encapsulates what The Rubinoos are really about – great Pop music. The fab thing about The Rubinoos is they have never let a genre define their sound - their best records are the ones where they just do what they want to do. If that means incorporating a ‘60s Soul vibe into one of their three minute Pop gems or recording a track acapella, then they find a way to make it work. 45 is filled with great moments where the band takes their tried and tested Power Pop formula and injects it with new life. This release is the perfect blend of the innocence of their first two albums, the sophistication of Twist Pop Sin and 1998’s Paleophonic and the more playful parts of their more obscure records. Where Automatic Toaster might have been a little too silly for its own good, 45 is where The Rubes achieve the perfect balance of innocence and adulthood. The recording of the album is a little more stripped down compared to their last few albums, but that works in its favor – the band sounds live and alive and ready to get the party started. Tommy Dunbar is one of the most overlooked Pop songwriters of our generation, incorporating a myriad of influences into three minute Pop nuggets. And he’s definitely no slouch in the vocal and guitar department either! Jon Rubin’s voice sounds better than ever, yet he has retained that innocent charm that made the band stand out on their debut album back in ’77. Bassist Al Chan and drummer Donn Spindt are a supreme rhythm section, sympathetic to the different flavors of Dunbar’s songs. Chan is also an amazing singer, adding an angelic voice to the band’s harmonies (and ably singing lead on a few as well). 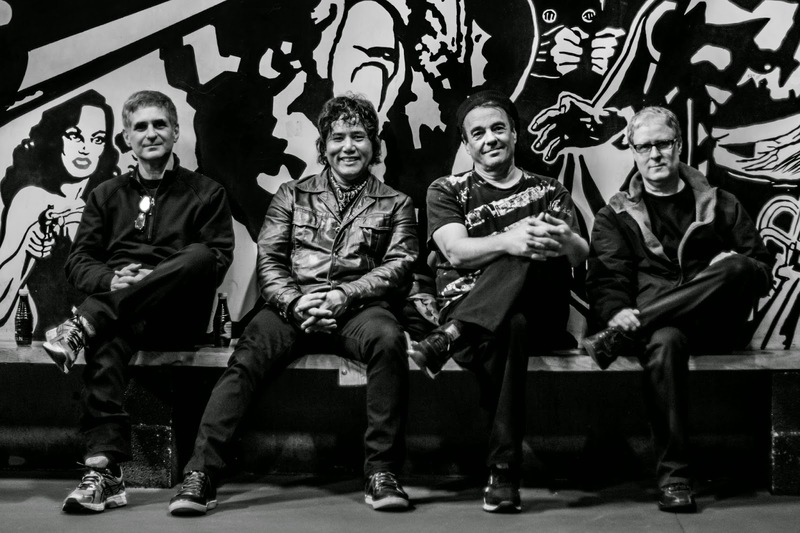 This is not a band resting on its Power Pop laurels – they still make albums like they matter. Sounding as energetic as they did over 30 years ago, they are in fine form and not afraid to wear their influences on their sleeves. “Run Mascara Run” opens the album with an acoustic guitar riff and Rubin’s glorious voice before kicking into Power Pop mode for the chorus. “You Are Here” (with great vocals from Chan) is a glorious slice of Pop that wouldn’t sound out of place on …Drawing Board. “What More Can You Ask Of A Friend” is a lovely mid tempo gem with a nod to ‘70s Soul. “Does Suzie Like Boys” (which is about what you would think it is about) is a delicious upbeat track that is driven by acoustic guitars but features classic Dunbar electric riffs running through it. “Countdown To Love” and “Party Insurance” are fun rockers. “I Love Louie Louie” and the Lou Christie song “Rhapsody In The Rain” are given the acapella treatment, showcasing The Rubes’ amazing vocal blend. “That Thing You Do” is not from the film of the same name, but it may as well be – pure Beatle-esque magic. There are more highlights here, but I’m wasting your precious time… you should be purchasing this album pronto so it will make your ‘Best Of 2014’ list. If you lost touch with The Rubinoos’ music over the years, time to get yourself reacquainted! God Bless The Rubinoos. The world needs them now more than ever.